This guest post was written by Ben Maxie. Ben is an undergraduate researcher at Old Dominion University who studies zooxanthellae genetics with Dan Barshis. Aside from marine biology, he is interested in beer brewing, car modification, and hiking. 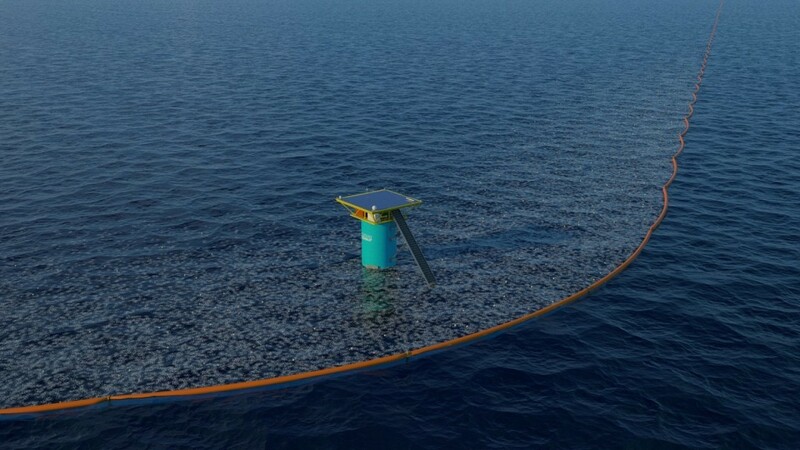 A proposed plastic skimmer used to clean-up plastic from ocean gyres. Image from here. It’s estimated that 4.8 to 12.7 million metric tons of plastic ends up in the oceans per year, according to a recent study. That’s over 5.5 million Subaru Imprezas’ weight in plastic on average per year. This number is projected to increase by as much as an order of magnitude by 2025. The large amount of plastic forms huge buildups in the gyres in the middle of major ocean currents. 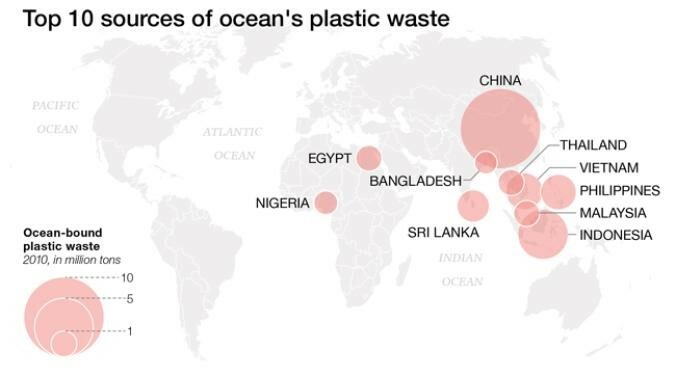 Map of the largest sources of plastic to the world’s oceans. Image from here. Most of this plastic is in large pieces, which can cause problems with entanglement, ingestion, and smothering for pelagic wildlife (I’ll spare the picture of the drowned sea turtle). Large plastic debris may spread invasive species to new habitats while helping thermally intolerant species like coral spread away from the equator. The plastic problem is compounded by the photodegradation of large pieces of plastic, which can continue on to the molecular level, releasing toxic derivatives such as bisphenol A, polychlorinated biphenyls (PCB’s), and derivatives of polystyrene. 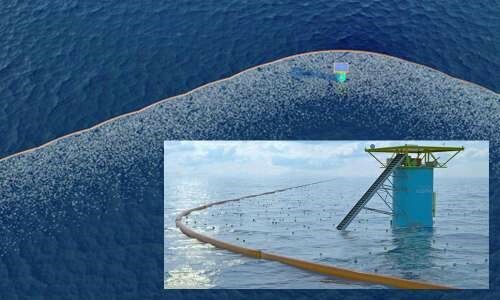 Most solutions to the problem have focused on cutting down the amount of waste that ends up in the oceans, but a new foundation, headed by 21-year-old Dutch inventor Boyan Slat, is developing skimmers to collect some of the solid debris. Close-up of a plastic skimmer. Image from here. The skimmers will be moored to the ocean floor and should passively collect debris, relying on wind and currents to draw plastic debris in. The foundation suggests that over 10 years one array of skimmers should be able to draw out around half of the plastic in the North Pacific gyre alone. A skimmer would likely be set up to skim from the top 2-3 meters of water. The foundation’s feasibility report showed that this plastic could be converted to oil using less energy than extracting crude oil. The skimmers are now in hydrodynamic testing as of October 28, 2015. Scale models are being used to determine the effects of oceanic waves on the skimmers at the Maritime Research Institute Netherlands, or MARIN. Tags: Guest Post, marine debris, restoration. Bookmark the permalink. I would say this is a check mark in the positive column for technology!